This video game art is inspired by the iconic Nintendo game Startropics. 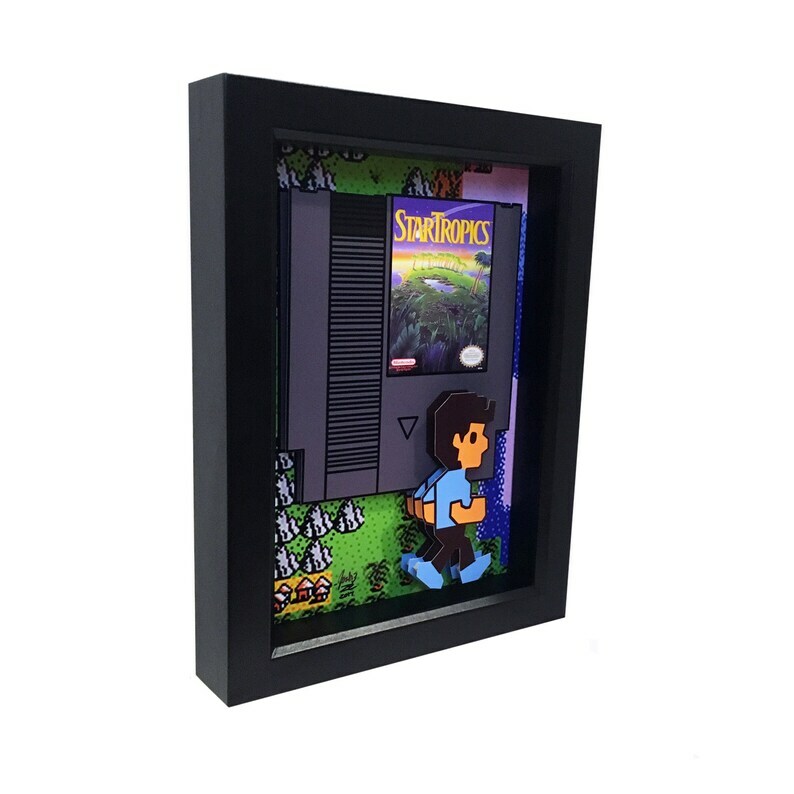 The paper cut Startropics cartridge is rendered in 2D, while the 8-bit Mike is in 3D. Perfect! Wonderfully made art that will fit in just dandy with my other video game art. So happy to have such nice work of this underrated gem.